You can minimize your risk of pole dancing injuries by following basic safety guidelines, but if you do find yourself with bumps, bruises, strains or sprains, this page can help you feel better faster. Bumps and bruises are very common, especially in pole dancers who are just learning to spin and climb. The most common sites for bruising to occur are the ankles and shins, as well as the inner thighs and upper arms. This is because for many spins and inversions, your legs will be either holding you up on the pole or they will be wrapping around the pole while you're traveling at fairly high speeds. Arms are also involved in a number of strength holds, so they can get bruised up too! 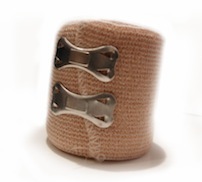 To treat minor bumps and bruises, ice or a cold pack is generally recommended. A bag of frozen vegetables will work just fine though, if you don't have any ice packs on hand. Put the ice on the affected area as soon as possible, and be sure NOT to place it directly on your skin as this could cause frostbite. Instead, wrap the ice pack in a towel or cloth and apply for 10 minutes. Repeat every couple of hours to reduce pain, swelling and bruising. There are also a number of homeopathic and herbal creams on the market to help with pole dancing injuries in general, and bruising in particular. While some brands are available in tablet form as well as a topical cream, Your Pole Pal's favourite is the cream as it can be gently massaged directly into the injured tissue. Pick these up at your local health food shop, or order from Amazon for quick delivery. Pole burn can occur along with bruising, or on its own. Burns result from the heat caused by friction between your skin and the pole. This common but painful pole dance injury often occurs on the delicate skin of the inner thigh when learning release moves that require holding onto the pole with only your legs. Ice, applied as described above, will relieve the pain almost instantly. 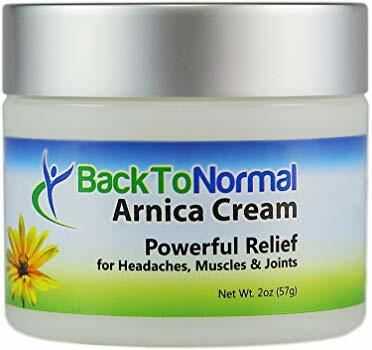 Your Pole Pal likes to follow up with an arnica cream as well, to help speed healing. You may need a few days away from the particular move that caused the burn, but in time your skin will toughen up and you'll have an easier time. Muscle soreness and stiffness is another common complaint in beginning pole dancers. Keep in mind that even if you're in fairly good shape, doing a new activity that you're not accustomed to requires using different muscles. This is why you may experience some pain or stiffness for the first few days after starting to pole dance. If the pain is not sharp or shooting, you are most likely experiencing the effects of discovering new muscles. Congratulations! This achy pain should diminish over time, and is usually worse in the first two days after starting the new activity. But in the meantime, these minor pole dancing injuries (aka sore muscles) are a fantastic excuse to have a hot epsom salt bath! TIP: Rather than buying expensive bath salts or drugstore epsom salts in small boxes, Your Pole Pal recommends buying in bulk to save money. 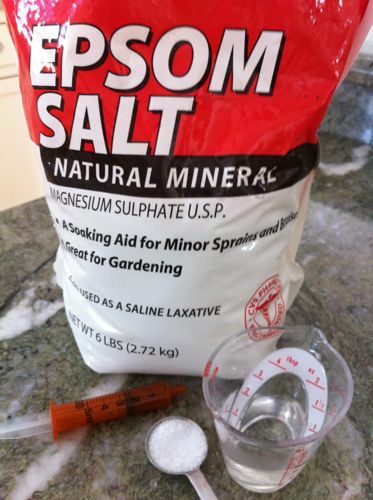 Epsom salts are often available in 10kg or 20lb bags at garden stores and the price is considerably lower. Your Pole Pal keeps hers under the bathroom sink, putting up to 4 cups in a hot bath when she's really stiff or sore. Remember to have a quick shower to rinse the salts off your body after your soak. The epsom salts pull toxins out of your body, including the byproducts of physical activity that cause the muscle soreness. So for best results, it's a good idea to rinse everything away so these compounds are not reabsorbed by your skin. More severe pain, or pain that only occurs when you move a certain way, or sharp, shooting pains may indicate that you have sustained a strain or sprain. A muscle strain is commonly referred to as a "pulled muscle" while a sprain involves an injury to the connective tissue in a joint such as a shoulder, wrist or knee. The common recommendation for either of these types of injuries is R.I.C.E., which stands for Rest, Ice, Compression and Elevation. While you may be tempted to ignore this pain and continue pole dancing, resting now will help you recover faster in the long run. Icing the injured area can help reduce inflammation, as can wrapping it with a compression bandage and raising the injured area above your head for a few minutes several times each day. If you suspect that your pole dancing injury is a sprain, you may want to seek medical advice and/or physical therapy. In order to get back on your pole as soon as possible, it's important to get an accurate diagnosis of what the injury is, and to follow a rehabilitation plan. Otherwise you may find yourself sidelined for weeks or months, which is no fun at all! Foot pain can be a real source of frustration for pole dancers. Whether you dance in bare feet, trainers, dance slippers or platform shoes, you may suffer from foot pain at some time during your pole dancing adventure. Common pole dancing injuries to the feet include plantar fasciitis (commonly felt as heel pain first thing in the morning when getting out of bed) or ball of foot pain from walking and dancing up on your toes. If you wear high heel or platform shoes when pole dancing, they may contribute to all manner of foot problems, particularly if your shoes are cheap or fit poorly. These can included bunions, corns, hammertoe and just plain painful feet. For any of these conditions, Your Pole Pal recommends seeing a podiatrist, physical therapist, or another professional who can properly diagnose and treat these conditions. If you suffer from sore feet or foot cramps on occasion, or you just wish there was a way to stretch out your hardworking feet, you may want to learn about YogaToes. Many people (including Your Pole Pal!) have found relief from minor foot aches and pains with this ingenious foot stretching device. Want to learn more about pole dancing injuries and safety? Staying safe is easier when you have the right gear. Learn how products like pole grip and crash mats can help make sure you stay safe up there. This short article explains 3 ways to help reduce your chances of injury while pole dancing. Dancing safely means making sure your pole is safe to dance on. Every. Single. Time. This page will show you how, including a video on load testing your pole.